Serious Travel Blogs – Travel Stories from a Big and Diverse World! Early one morning, after two days in the tourist city of Vigan, I got in a small motor bike rickshaw and travelled to a small guest house on the coast. It wasn´t far, 15 kilometres or so. 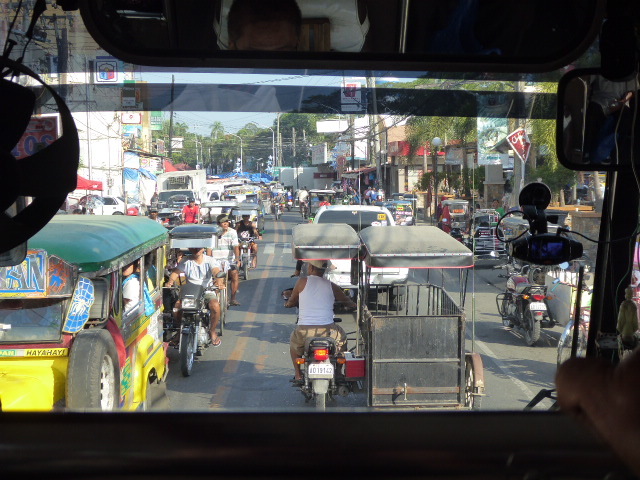 Before long, we left Vigan behind us and motored down narrow pot holed roads with open fields and small houses on either side. There were was almost no traffic. The sky was a blanket of grey. We came to a small town called Santa Catalina. ‘Santa Catalina’: a vestige of The Philippines origins as a Spanish colony. There was a single main street, houses and shops either side and a large church. There were few people about. Finally we neared the coast. There was a strong wind blowing off the sea. It was good to breathe fresh air again. Then the sea came into view. I’d had ideas of going for a swim but I at first sight, I knew that was completely out of the question. Big ocean swells broke far out to sea, reformed and broke again and again, forming a series of wild, breaking waves which pounded the beach violently. With the sound of the waves filling the air, the rickshaw turned left and drove down a long drive and pulled up a large open dining area with wooden tables and chairs under a large sloping thatch roof. There was a middle-aged man seated at one of the tables talking to a couple of young Filipino tourists. Besides some of the place names, another surviving remnant of the Spanish era are people’s names and as far as that went, you couldn’t get more Spanish than ‘Carlos Fernando’. Carlos got up and came over to the rickshaw and introduced himself. The bus journey from Aleminos to Vigan took a lot longer than I anticipated: the distance was 270 kilometres and it took 11 hours. 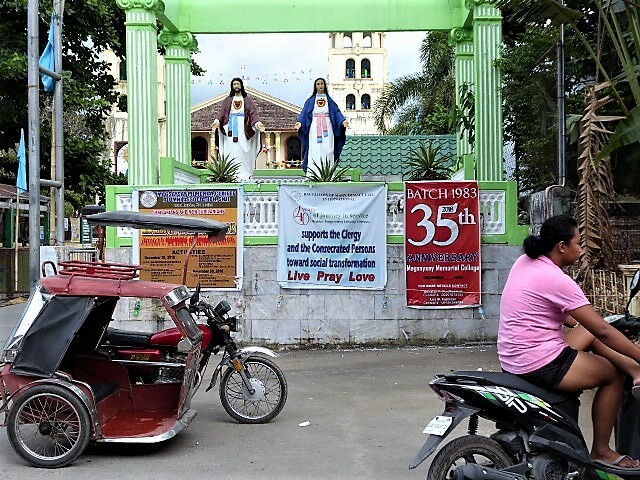 These two cities are on the west coast of Luzon, the largest and most populated of the islands comprising The Philippines (and home to the capital city Manila). There is one main road running along this west coast because much of the interior of Luzon is mountainous. Unbeknownst to me and I should have realised this, most of the people in Luzon live along the coasts and especially, the west coast. In 1802 a ship called ‘The Investigator’ captained by a young man named Mathew Flinders left England on its way to Australia. 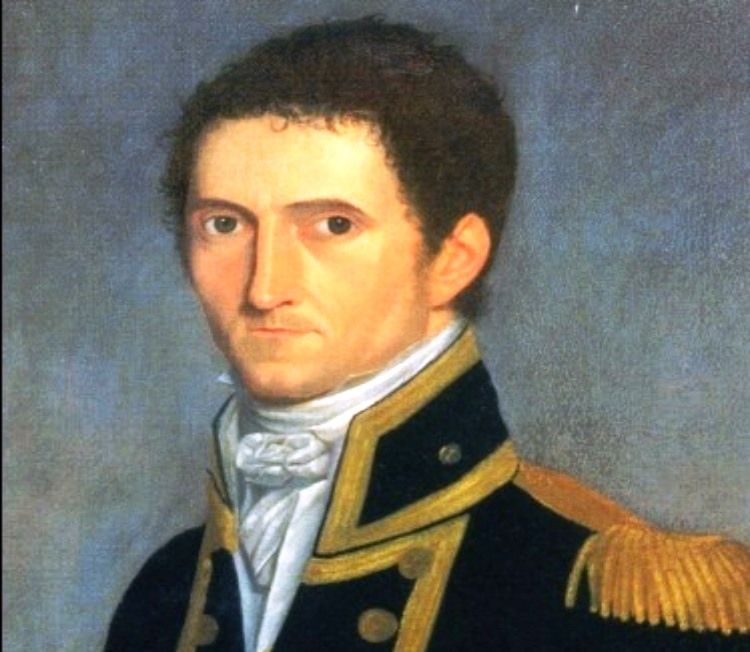 Flinders was assigned with a special mission: to find out what Australia was. No one had ever circumnavigated Australia. A hundred years before, the Dutch had mapped the long western coast of Australia. James Cook had mapped much of the eastern coast. But there were still many bits of the puzzle to be filled in, the major one being the enormously long southern coast stretching from the tip of present day Western Australia to Melbourne: 2000 miles of unknown coast. The reigning theory at the time was that Australia (or as it was then known, New Holland), consisted of two big islands divided by what was termed an ‘extensive straight’. Either that or there was a huge river – a Ganges, an Amazon, a Nile – which connected up to an inland lake. For nineteenth century Europeans, the notion of a land as big as Australia with no major rivers or lakes, no water, was beyond their frame of reference. The experience of the Europeans in the other parts of the world – India, Indonesia, Africa and the Americas – supported the idea that big continents and big tracts of water went together. It never occurred to anyone that Australia might be one big land mass and have no rivers and no lakes and no ‘inland sea’. It was as unbelievable as the existence of such Australian animals as the platypus and the wombat, the kangaroo and the koala…..
One night, near the end of a journey in the south of Thailand, I ran into trouble. For the previous weeks, my partner and I had been out on a remote island, where there was no tourist infrastructure – and no internet. We were disconnected from the outside world. No social media, no news. Then at the end of a long boat trip, we found ourselves back on the mainland. 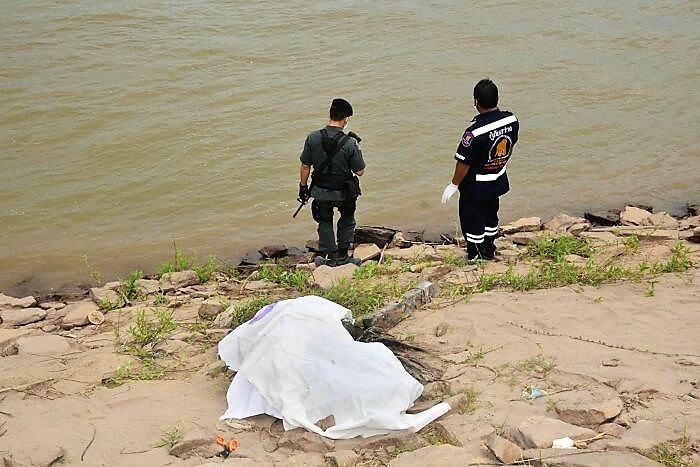 Cruising the electronic world in the privacy of my air conditioned room, I came across a report concerning three Thais political activists who been found murdered on the banks of the Mekong River in Laos. Their bodies had been hideously mutilated. This was a political crime. And it wasn’t too difficult to work out who was responsible for it: the Thai military, which ruled Thailand with an iron fist – in collusion with the Thai King. A cosy arrangement which had long defined the political landscape of Thailand. Thanks to this snippet of news, I found myself dwelling on this brutal reality. 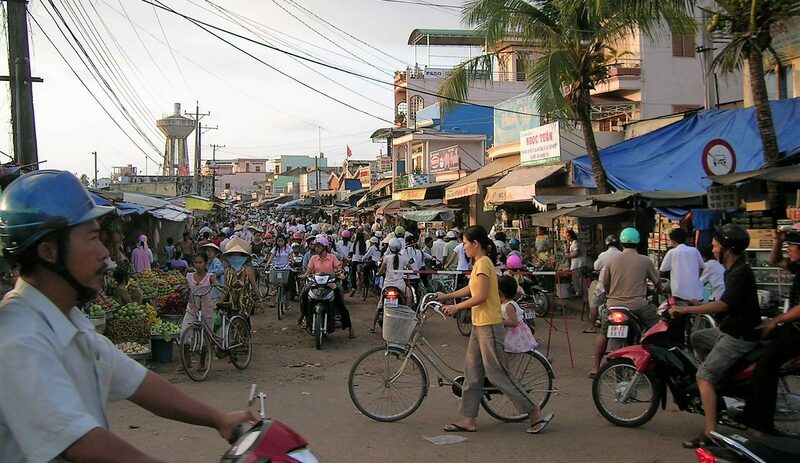 In 2007, there was one bus a day from the town of Luang Prabang, in the north of Laos, to the capital city, Vientiane in the south. It left at 7 in the evening. Officially, the journey took 10 hours, but sometimes it was longer. On the evening I was on the bus it took 6 hours longer: the problem was, the bus broke down. This happened about three hours after we departed Luang Prabang. By this time we were in wild mountainous country. There was a piercing shrieking noise. The driver pulled over to the side of the road and we all got out. Twenty metres or so down the road was what looked like a long piece of metal pipe. Closer inspection revealed it was a section of the drive shaft – the shaft running under the bus which transfers the power of the motor at the front to the axle at the back. A section of the drive shaft had snapped off and shot along the road like a bullet and left a deep gouge in the tarmac. The other westerners on board – some young Americans and Germans and an older Englishman – gathered together in a group. Altogether there were eight of us including my partner and I. We were all in a state of disbelief. And so too, we knew we were in for a long wait. It wasn´t possible to fix this problem up on the spot; it wasn’t like a flat tyre. The driver stood by the side of the road, waiting for a vehicle to appear so that he could get a ride back into Luang Prabang. We began chatting and sharing travel experiences. The night was perfectly still and clear, the sky a blaze of stars. There was no moon. And there wasn´t much traffic either. Finally we saw headlights appearing. 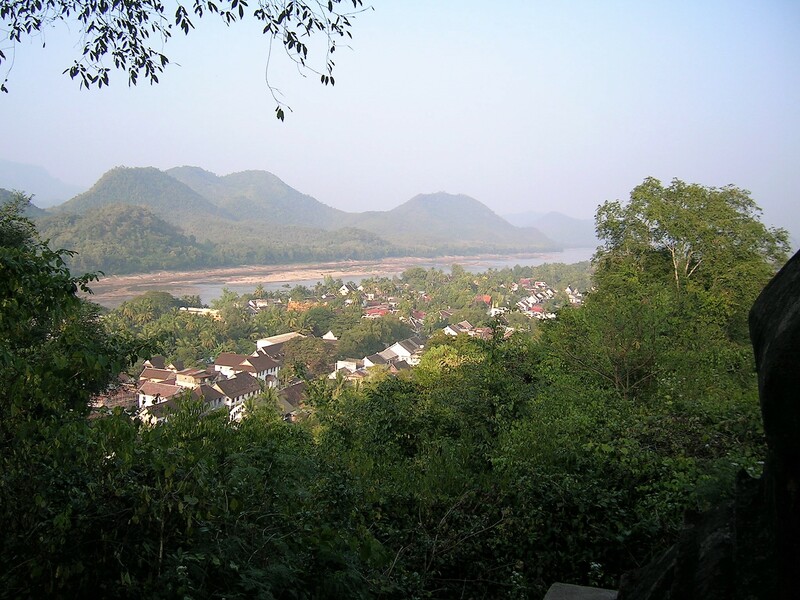 It was a Hyundai light commercial vehicle heading in the direction of Luang Prabang. Our driver waved it down. Got in and then vanished. All of us assumed that he would go back to the bus station, get another bus and drive it back. But what if there wasn´t a spare bus at the station? We might have to wait until the next day.